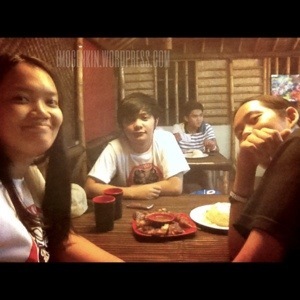 After our campus tour with Abra last Wednesday (Aug.7), we have decided to grab dinner at Lyrico’s Grill. They originally have a sidewalk ihawan before then they upgraded to a larger dine-in place just recently. They still serve their original recipe chicken and pork bbq with their original sauce and several selection of rice. They have also added some desserts and sandwiches to their menu. Their new place is simple with mainly bamboo interiors from walls, dividers, tables and chairs. The place is a little smoky too since the grill is just outside. No aircon as well, so expect it to be a little humid there, not too bad though. We had chicken, liempo and 2 bbq sticks. Good enough to serve 3 hungry people. Food is good and a little comparable to bbq you get from streets but in bigger serving and better sauce! I’m not sure, but I think their sauce is a blend of bbq and peanut. It actually tastes good. 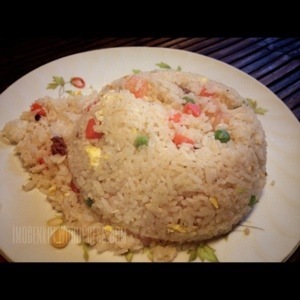 We also had Yang Chow rice, also good for 3. We didn’t really had a choice since their other variations of rice are not available. Service: 3/5 – prompt and attentive servers. Accesibility: 3.5/5 – just take a bus to cavite city, the place is just along the highway, you won’t miss the smoke! 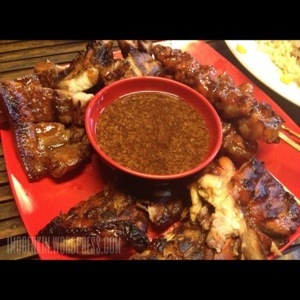 All in all, Lyrico’s is a place that we come back to when we crave for good bbq. BUT! you need to take patience with you too! Food takes around 40 minutes to be served since they are grilling them by order. They need to improve on that.